When you’re planning a visit to South Carolina and you’re looking for comfortable and affordable North Myrtle Beach accommodations we can help. We have some tips to follow that will help you to have a worry-free visit from the time you book until you depart for home. There won’t be any more squeezing into tiny hotel rooms, sharing a bathroom or bumping into strangers in the hall. The money you save and the privacy you’ll enjoy will change the way you vacation forever. 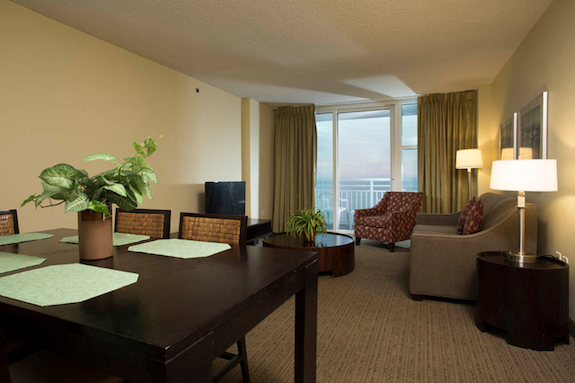 Our North Myrtle Beach accommodations are the best and we prove it to you when you stay with us. For you to have the best vacation of your life, just follow these tips. The longer you wait to reserve a rental the higher the risk of having to settle for less than what you truly want. Do you have your heart set on coming a certain week? Then make your reservations early! What is the weather forecasted to be like when you’ll be here? In tropical locations the rainy season may have warm and sunny days with showers in the late afternoon. One benefit of off-season travel is the rates are cheaper and the weather more temperate. How big are the rooms? Are housekeeping services included or are they extra? Does the price include taxes? What is the cancellation policy? Don’t rely on photos alone. If you have questions, just ask us! Be sure to look at photos of the accommodations online. Read testimonials posted by previous guests. Do a Google search to see what you get back. There are plenty of sites on the web offering reviews. Are you not “clicking” with the homeowner or rental agent? Are you getting vague answers to your questions? At Seaside Mb we listen to what you say when you tell us what you want and we work hard to make sure you’re happy. We are knowledgeable about our accommodations as well as the surrounding area and will happily share that information with you.